Read the story behind Ruth Schoeneman’s generous gift – and our search to learn more about her and her connection to PFI. Fruit and vegetable farming is strenuous work. 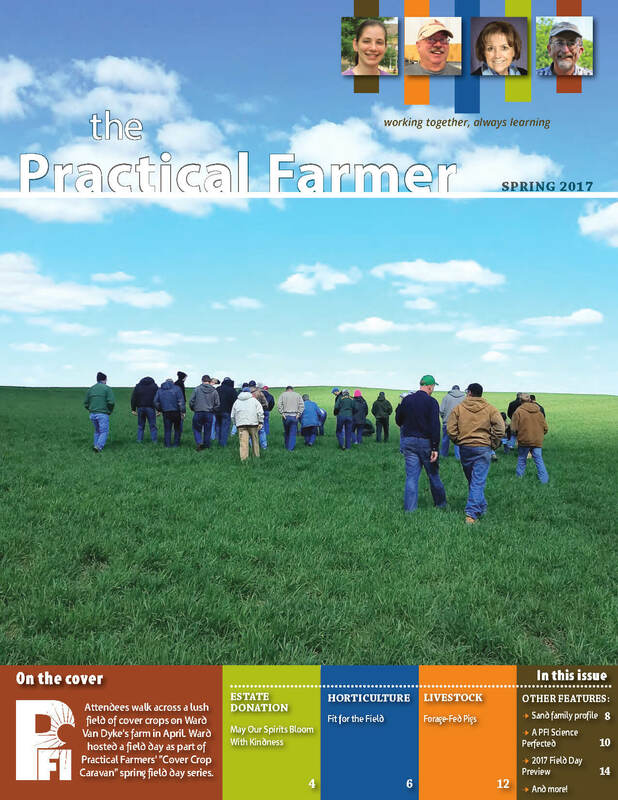 Read how several PFI farmers manage their health and strength throughout the year. In this article, Steve Dieble – who presented at PFI’s 2017 annual conference – offers more insights into how he feeds his pastured pigs. When Howard Sand dies at the age of 100, his four children worked together to find a local family to purchase his Urbana-area farm. Three Practical Farmers cooperators reflect on how PFI research has helped them.